Single-serve brewing machines have become so popular that fewer Canadians are buying old-fashioned drip coffee outside of their homes, according to market research firm NPD Group. But coffee shops needn’t worry — they have been making up for the shortfall by selling pricier, hybrid espresso drinks that can run you into the double-digits at Starbucks, if you’re not careful. Servings of hot brewed coffee have fallen at a compound decline of 2% at foodservice establishments since 2010, NPD reported Monday, while specialty coffee servings have grown by 4% and iced specialty coffee servings at restaurants have jumped 8%. In 2014 alone, out-of-home customer servings of brewed coffee declined by more than 3% from 2013, NPD said, though the number of overall customer visits to coffee shops remained unchanged. Establishments such as Tim Hortons and Starbucks have made up for the dip in drip coffee by growing their assortments of specialty and frozen drinks — beverages such as Chocolate Mint Lattes and Caramel iced coffees. The big chains’ desire to create new beverage lines and have put pressure on traditional brewed coffee, Mr. Carter said, as consumers gravitate towards the higher concept drinks. After many years of strong growth, the number of single-serve coffee machines sold dropped 22% in 2014 after growing 7% in Canada in 2013. NPD said the market for the popular items has become more saturated, and is largely a market driven by consumers replacing Tassimo and Keurig-style machines rather than entirely new adopters. Consumers also seem to be getting into coffee category at an earlier age, he added. 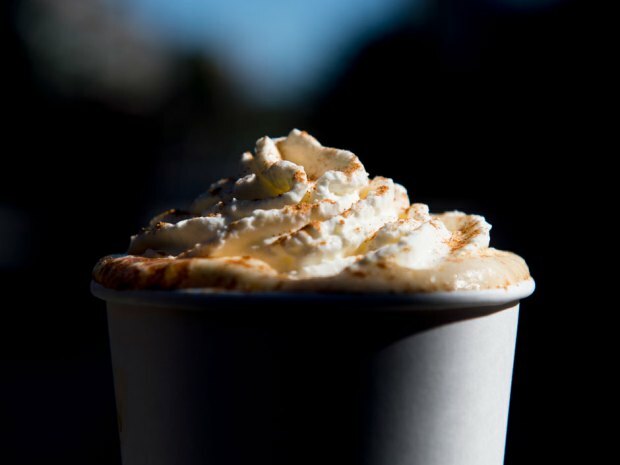 Millennials in the 19 to 34 age range have proven to be robust coffee drinkers, but post-millennials, those aged 16 to 19, have been drawn in by the coffee-based drinks marketed like desserts, with swirls of caramel, whipped cream and chocolate shavings. Overall coffee consumption at restaurants in 2014 is at the same level it sat in 2010, at 2.1 billion servings of foodservice coffee. Competition heated up significantly when McDonald’s began an aggressive push into selling drip coffee six years ago. Starbucks, McDonald’s and Tim Hortons also began selling their coffee at grocery stores in addition to their own outlets in order to extend the brands beyond the restaurants. Regardless of the slide in foodservice consumption of drip coffee, it’s still far and away the most popular seller among restaurant beverages and coffee in general, NPD said. Hot brewed coffee makes up 77% of the servings at foodservice, compared with 14% for hot specialty coffee drinks and 9% for iced specialty coffee drinks. And there was one bright spot in the brewed category in 2014, as Tim Hortons debuted its new dark roast blend. “The dark roast launch one of the most successful launches that Tim’s has ever experienced, and has really helped drive an increase in brewed coffee at Tim Hortons,” Mr. Carter said.